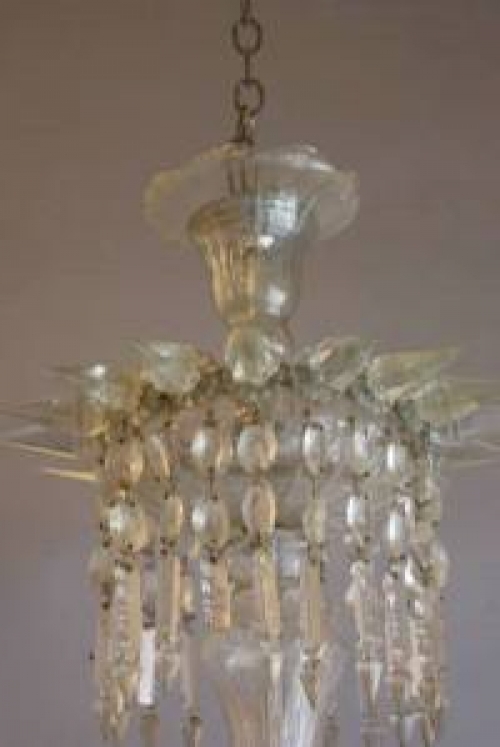 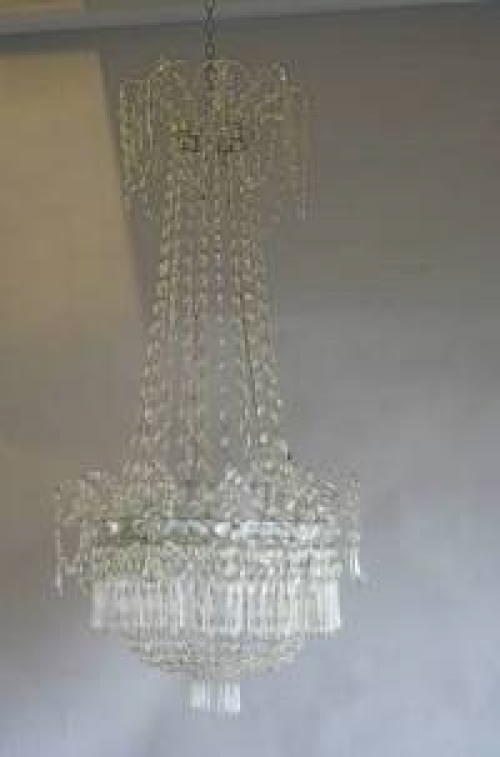 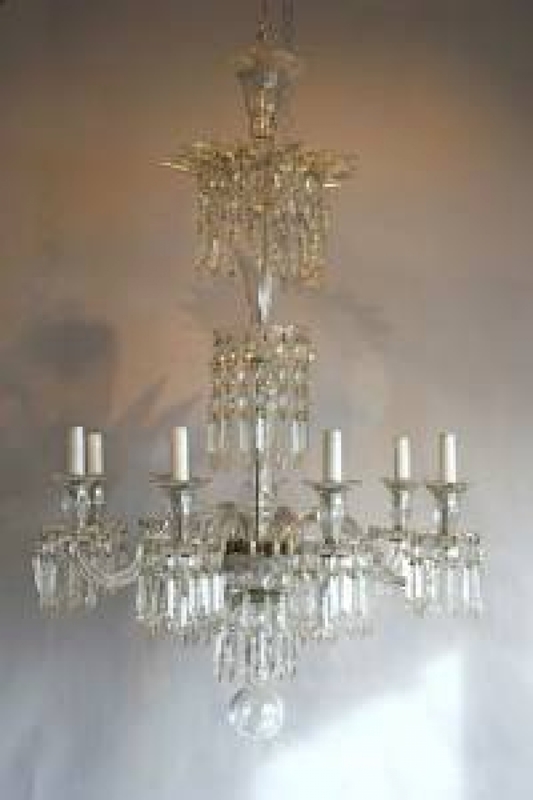 The fashion for chandeliers changes , six months ago it was all silver plated, before that it was beaded frames, and before that Napoleon 111 styles. 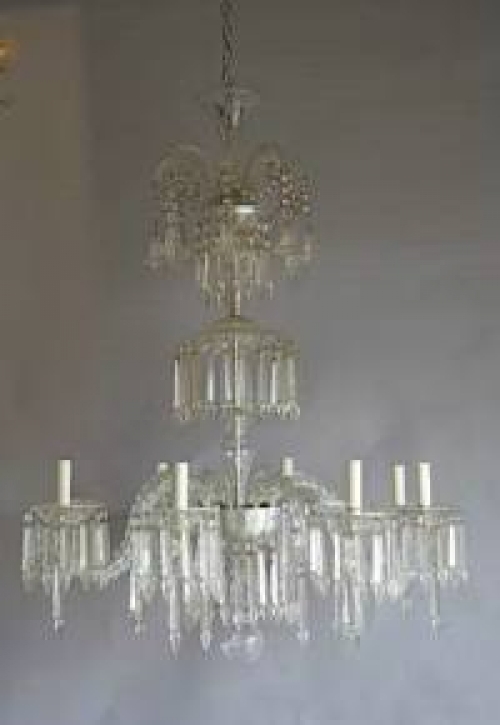 The three we brought back from our recent very cold travels are lovely , best--- they represent a lot of chandelier for not a lot of money. NDA wires and restores, crates and delivers, the excellent Dernier-hamlyn do the fitting. 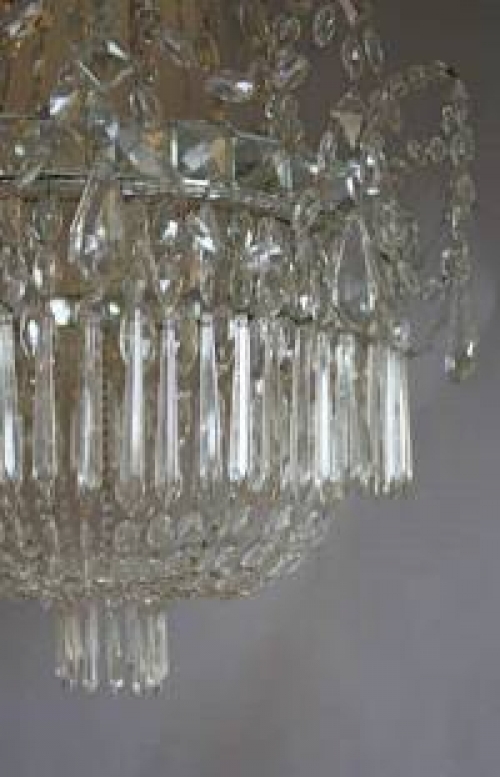 Shown details of the glass , nice old grey colour, crisp cutting, pretty details.